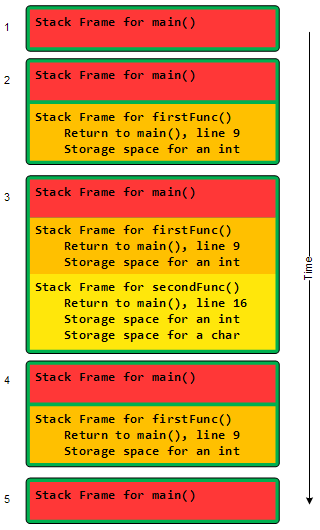 The stack is comprised of a number of Stack Frames, with each frame representing a function call. The size of the stack increases in proportion to the number of functions called, and then shrinks upon return of a completed function. Works on a LIFO basis. When main() returns, the program ends.